I get ideas for blog entries from the most interesting sources. Back to the topic of military prophylaxis. Medical measures taken to prevent illness, weakness, or death among the troops. Thank you also Dubonnet for the poster! "pro·phy·lax·is - - noun - - action taken to prevent disease, especially by specified means or against a specified disease." "Dubonnet is a sweet, aromatised wine-based aperitif with 15% alcohol by volume. It is a blend of fortified wine, herbs, and spices (including a small amount of quinine), with fermentation being stopped by the addition of alcohol." 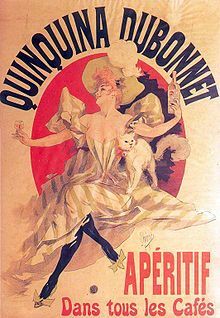 "aperitif - - an alcoholic drink taken before a meal as an appetizer"
"Dubonnet was first sold in 1846 by Joseph Dubonnet, in response to a competition run by the French Government to find a way of persuading French Foreign Legionnaires in North Africa to drink quinine. Quinine combats malaria but is very bitter." TROOPS UNWILLING TO TAKE MEDICATIONS, PROPHYLAXIS AS PRESCRIBED. TASTE OF THE MEDICINE [QUININE] TOO BITTER. MIX IN A LITTLE ALCOHOL AND THE TROOPS THEN MORE THAN READY TO TAKE THE MEDICINE! 2. 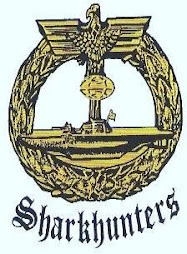 Also from the Internet web site of Dr. Andrew Weil a discussion of the shelf-life and potency of vitamins pills with the military connection. As extracted and copied more or less in entirety. "Is it safe to use medications that are past the expiration date stamped on the package? If so, will the drugs be as effective as they were prior to the expiration date? What about supplements?" "With a few specific exceptions, it is generally safe to use drugs that have passed their expiration dates. We know this thanks to a study carried out some years ago by the FDA at the request of the Department of Defense, which maintains enormous stores of drugs of all kinds for use by the military. Defense authorities wanted to know whether the drugs in its warehouses were potent and worth keeping after their expiration dates had passed. The study showed that 90 percent of more than 100 drugs, both prescription and over-the-counter, were perfectly good to use even 15 years after the expiration dates." And thank you DoD and Dr. Weil. Devoted readers to the blog check all your pill bottles of vitamins and rest assured even if the expiration has has passed you are still able to consume without danger! Vitamin tablets still good!